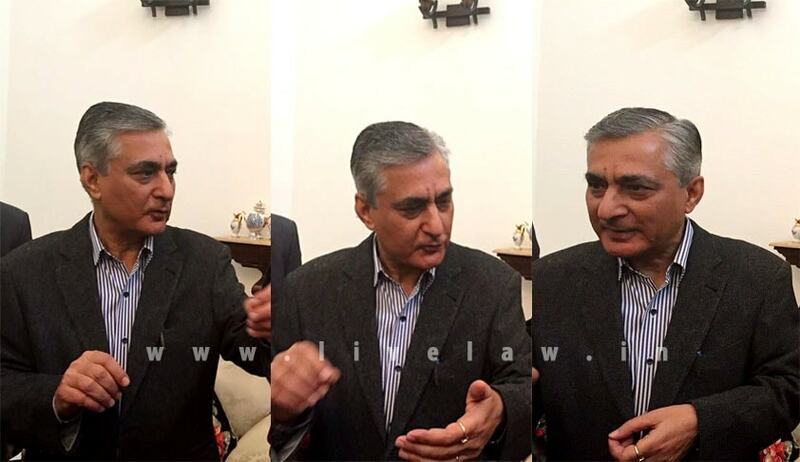 India’s new Chief Justice T S Thakur does not mind giving a shot at acting. When legal journalists, during an informal interaction at his official residence asked justice Thakur if “given his good looks” he ever considered acting as a career before becoming a lawyer and judge, he quipped evoking peals of laughter-- “Even now i can. I am in talks with Producers and Directors like Prakash Jha and Ramesh Sippy for making some documentary films or promos relating to good works being done by the judiciary especially for giving publicity to orders aimed at social justice and welfare of the people. What if I get a role in it ? I won’t mind. I would love to get a role”. He revealed that Bollywood mega star Amitabh Bachchan and lyricist Gulzar could soon be seen promoting legal awareness through TV as National Legal Service Authority (NALSA) has roped them in. Thakur said he personally prefers that promotions on the line of late 80s popular multi-starrer song'Mile Sur Mera Tumhara', promoting national integration and unity in diversity. Thakur who is also executive chairman of NALSA said Jha and Sippy have assured him about offering their services along with others artistes. “Jha and Sippy met me recently and they have assured that they will be offering pro-bono service to NALSA along with other Bollywood artists. I have been also assured that Amitabh Bachchan could also extend his support to the campaign," he said. Some of the suggestions Justice Thakur said include short clips based on success stories where NALSA had helped the needy. Justice Thakur had recently called these film-makers to evolve ways to popularise legal aid services in the country and help those needing legal aid.​ Another Bollywood star Aamir Khan has helped popularise Incredible India campaign of the government on TV, while Bachchan has been associated with many social issues. Read the more news about Justice T S Thakur here.